SMS remains a hugely effective communication channel for many brands- but more providers are now using ‘grey routes’ to deliver messages, stripping texts of vital context, such as timing. This infographic looks at a growing threat that most brands are totally unaware of. The infographic from fonix and Zensend looks at how messages via grey routes are trashing the brand experience on mobile. 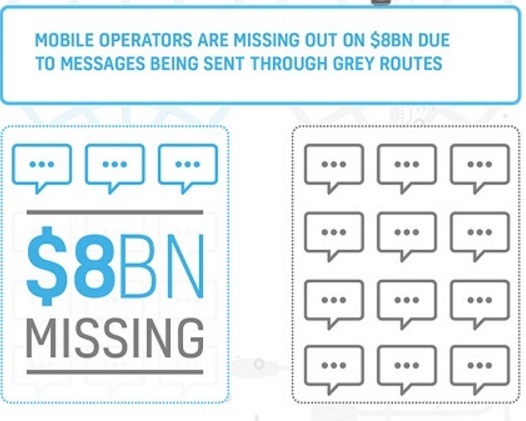 Mobile messaging via grey routes sends messaging via un-regulated operators (which could be anywhere in the world). The result amongst other things is marketing messaging arriving out of context. Brands are usually unaware of it, operators are losing money because of it and consumers hate it.